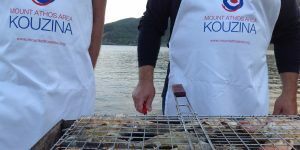 Live a “delicious” presentation of the Mount Athos Area KOUZINA 2016 culinary festival, which will be held on Tuesday 12th January 2016, 7:30pm at “Olivity” (Overtoom 239 -1054 HV Amsterdam). 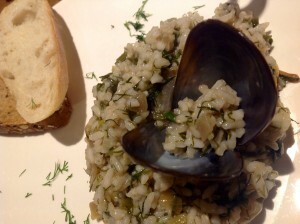 Ifigenia & Kostas from “Costa Costa beach bar & mini restaurant” (Nea Roda) will teach you how to make traditional ntolmadakia, fresh risotto with mussels and cool cocktails based on strong Greek tsipouro and homemade jams! Do not miss this event! It will fill you with “Greek” experiences and awe! Prepare for a demonstration of Grecian gastronomy like never before, with delectable athonite wines from Metochi Chromitsa and flavorsome dishes accompanying discussion of the beautiful landscapes that make up Halkidiki’s third peninsula Mount Athos, in what is sure to be a magical night. You will have the opportunity to tour the set, try your hand at crafting athonite delights, as well as learn more the destination’s exciting gastronomic tour program ‘following the blessed wine routes and the symposiums, through an engaging presentation by representatives and a live demonstration of the art of the athonite cuisine by Monk Meliton. Prepare for a demonstration of Grecian gastronomy like never before, with delectable athonite wines from Metochi Chromitsa and flavorsome dishes accompanying discussion of the beautiful landscapes that make up Halkidiki’s third peninsula Mount Athos Area, in what is sure to be a magical night. You will have the opportunity to tour the set, try your hand at crafting Asia Minor delights through an engaging presentation and a live demonstration of the art of the athonite cuisine by local housekeepers. Aristoteles is the philosopher whose work spreads over the broadest range of topics, covering all major branches of Philosophy such as Logic, Dialectic, Syllogistic, Metaphysics, Political-Moral Philosophy, Rhetoric, Poetics and extending in an impressive way into areas related to all fundamental scientific disciplines, such as Physics, Biology, Zoology, Botany, Taxonomy, Mathematics, Meteorology, Astronomy, Geology, Psychology, Medicine, Economics, Humanities, Law and Political Science, Economics, Health Sciences and even Technological Sciences. 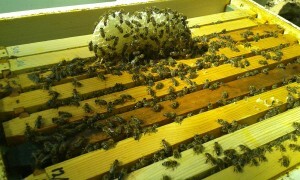 The 3 first days of KOUZINA is a trip around the honey routes around his birthplace. 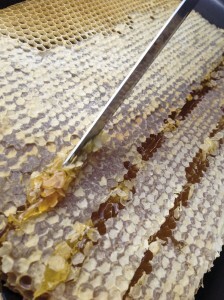 Join us and enjoy honeyed delights, as well as learn more the destination’s exciting gastronomic walking tour program ‘Roads of Aristotelian Honey’ through an engaging trip and live demonstration of the art of honey extraction by a professional beekeeper, transporting you on a unique sensory journey. A menu with ancient Greek origins and inspiration from the local mushroom culture of Cholomontas. An excellent spring night with Vasilis Chairistanidis creating magical recipes and distilling strong tsipouro, offering it to those who booked on time a seat at his ancient Greek table! The famous local production of Arnea meets the cuisine of the ancient Greeks and the chef Dimitris Polyzos creates a unique menu in the Grove of Agia Paraskevi, where the local honey, rose oil, goat cheese and yogurt "mix and match" flavours and sensations! Book now and enjoy! With herbs, plants and fruits from the Aristotelian Mountain, famous Greek chef Dimitris Tsananas in cooperation with Louloudia Alexiadou creates dishes that combine the flavours of fresh forest fruit with sea products! A feast of scents and colours makes up a sea menu, inspired by the Aristotelian writings. Don’t miss it for anything in the world! Book your participation now! 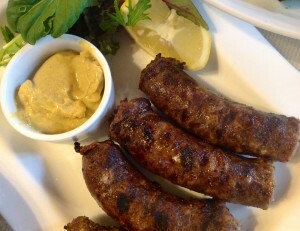 An unusual cooking lesson that will be delivered by Chef Dina Nikolaou. Title: Olympiada Mussels a "thousand ways". These will be accompanied by dances and songs of Greece and Asia Minor. These are lovingly presented by the village youths, who give their best to perpetuate their gastronomic heritage. 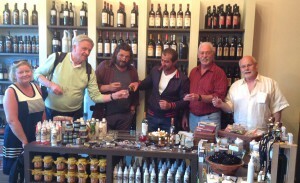 The feast will end up in Bar Perroquet, where the members of the Agritourism Cooperative of Varvara will showcase their homemade jams, which known barmen use to create organic cocktails based on the Arnea Mountovina (a local drink)! Are you still thinking about it? 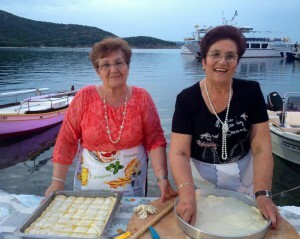 A demonstration of traditional Asia Minor cooking and confectionery, delivered by the chef Dina Nikolaou and Asia Minor housewives in the central square of Ouranoupoli, with the historic Tower of the village and the harbour - gate to Mount Athos as a background. The demonstration will end with songs and dances, executed by members of the local cultural associations. Presentation of the book entitled "The recipes of the peninsula before Mount Athos", by the chef Dina Nikolaou. Cooking demonstrations will follow. 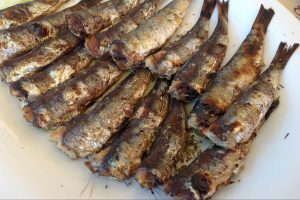 A fishing feast in the port of Stratoni, a joyful festival of the sea. The people of this particular corner of the peninsula before Mount Athos honour the gifts offered by sea and land and often organise such celebrations. Feasting, dancing, local wine and liquor and plenty of fish offered to attendees make up a wonderful tourist experience that will fascinate you. 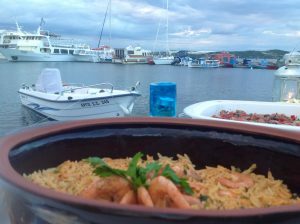 Fresh fish and seafood, cooked in the most traditional way, highlight the pure taste of the local seafood (Mediterranean) cuisine. 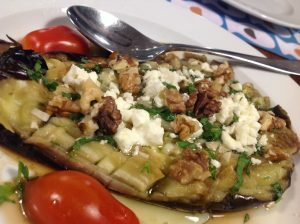 A wonderful mouth-watering menu to accompany ouzo gives the opportunity to Michalis Lemoniadi to apply once again his father's Iosif techniques, who created in Ouranoupoli the first tavern of the village that today is a gourmet trademark of the bustling beach. A genuine sea menu with the signature of Vangelis Tousios. 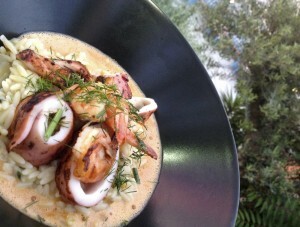 Overlooking the harbour and the peninsula the taste of the dishes, based on local sea food will fascinate you. Book your participation now! 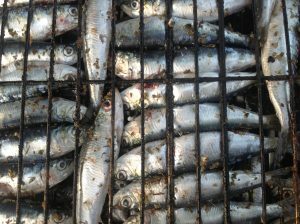 Ammouliani has the largest fishing fleet in central Macedonia. 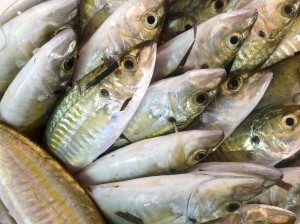 This means that the fish offered in the island's restaurants is caught on the same day. 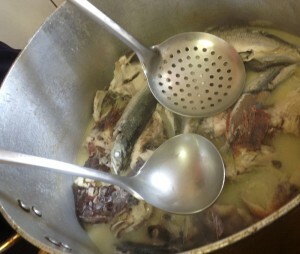 Besides, in Ammouliani if a fish was caught yesterday, it is not considered fresh! That is why the inhabitants welcome visitors to the fishing boats of the harbour, where they revive the traditional custom of "gripos", they teach them fishing techniques. 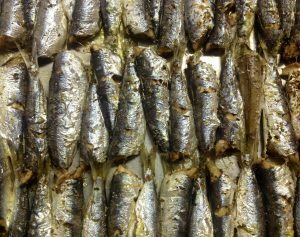 The catch comes to the port, where it is grilled on the spot and, accompanied by Athonite tsipouro and wine, it becomes a joyful celebration of the sea! 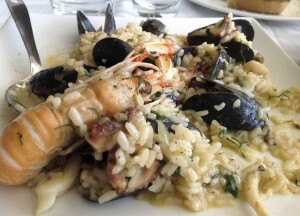 The local housewives will cook seafood in front of the beautiful harbour of the island, delivering cooking classes one after the other: seafood orzo risotto, fried sea anemone, fricassee fish, pies with Athos Gulf herbs, etc. Then they will offer their culinary creations and close the culinary show with songs from their memorable homeland. Don't miss it for anything in the world! 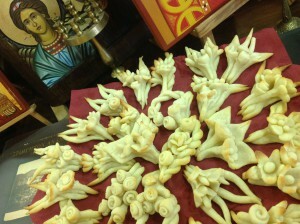 Presentation of a magnificent monastic dinner using the famous "Athos saffron", cultivated in Athonite monasteries. Don't miss it for anything in the world! Wandering among the blessed products of Mount Athos and Byzantine, religious monuments, that will create the most beautiful gastro-cultural summer memory. 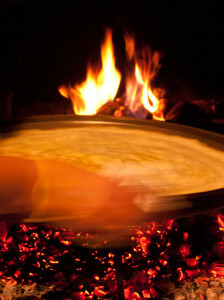 An exceptional tour to the cultural monuments of Mount Athos and the culinary habits of its monks! Book your participation now! Your choice will prove you right! 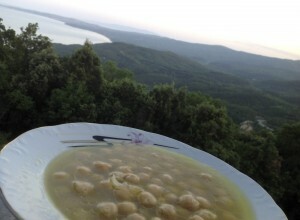 A monastic dinner, which takes place on the slopes of the Aristotelian Mountain, cooked by chef Giota Polychronidou and representatives of local women's associations. Held in the magical courtyard of the Church Agios Nikolaos tou Vounou with incredible views of the bay and Mount Athos, combined with participation in the Great Vespers. Don't miss it! Book your participation now! 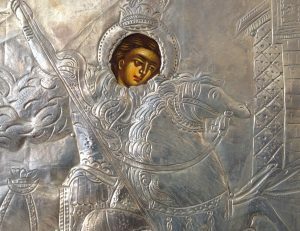 Original Mount Athos dinner by Miranda Gkioura, which will be followed by Athonite wine tasting. Indeed Metochi of Chromitsa presents original Mount Athos wines, made from the fruit of the vineyards of Mount Athos and by the hands of the monks. Among the many varieties, "Kormilitsa", the official wine of the Cremlin, stands out! A great traditional cooking class entitled : from Epirus to Cappadocia, delivered by housewives accompanied by music and dances of the East. A throwback to taste, a mental trip to the cuisines of the East and to the home of culinary discoveries. Don't miss it for anything in the world! 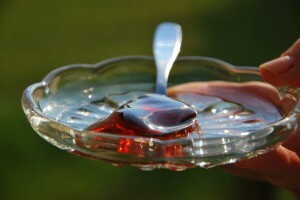 A lesson in traditional confectionery by Ifigenia Symonidou, who creates preserves and jams, collecting fruits from the fertile land of Nea Roda. The recipes are based on techniques coming from Asia Minor, while her speciality is the "watermelon preserve" which highlights the rich production of the fields in Nea Roda. Later, famous bartenders will take the lead and create fragrant cocktails with these jams and mountovina and also present the signature KOUZINA cocktail. An event not to be missed! Fill out the entry form and join our gang! 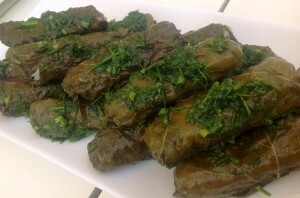 Traditional cooking lesson, entitled "Constantinople Dolma, Dolma from Asia Minor", where housewives from Ammouliani prepare the famous dolma (stuffed vine leaves) from Constantinople and from Proikonisos and teach how to make them. 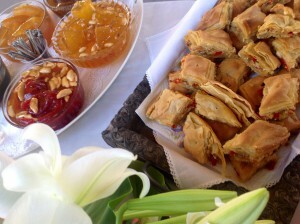 After the lesson, handmade delicacies will be offered and an authentic feast of Asia Minor will follow. Don't miss it! The feast of marzipan flowers! 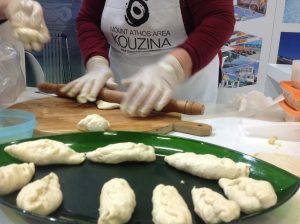 Another traditional pastry lesson, during which housewives from Ammouliani will teach visitors how to make the original Asia Minor marzipan, an elaborate recipe that was brought by their ancestors from Proikonisos in Asia Minor and is recreated with unprecedented frequency in all Ammouliani households to remind of its roots and habits. A menu brought from the kitchens of Asia Minor and the fragrant ovens of the East, capturing memories, tastes and an aura of times bygone. Fotini Christodoulou encloses in her dishes the gastronomic history of an era! 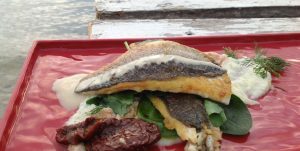 All flavours of the Athonite sea mingle, creating incredible combinations and matching cooking techniques and uses of fresh produce. The smell of the sea, the view on Mount Athos and the sandy Drenia islands inspire Giota Tsakni to create culinary works of art! 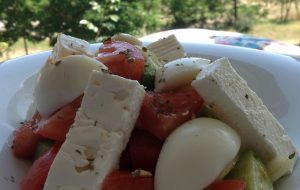 A cultural and gastronomic meeting of Pontic Greeks of the region. Music, dance and flavour from their unforgettable homelands will end in the best way this special week. 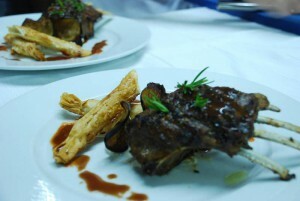 Chefs Dina Nikolaou and Ilias Gkotsis prepared a menu based on "oil and olives from the Mediterranean", marrying oily flavours of local olive groves with Mediterranean products and influences, to create dishes inspired by the colours of Cypriot cuisine and the aromas of the Mediterranean. 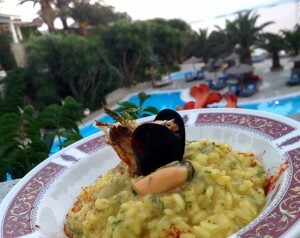 Sea Food barbecue by the magical pool of Aristoteles Holidays Resort & Spa, overlooking Mount Athos Bay. 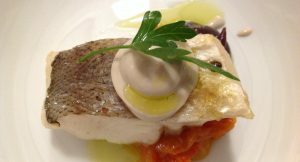 Pure flavours, local products directly from the Mediterranean sea, fresh seafood and vegetables from the organic garden of Mr Argyris! Don't miss it for anything in the world! 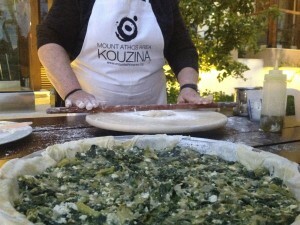 Mount Athos Area Kouzina will close as spectacularly as it opened. The closing ceremony includes the famous awards, which are now a top annual local culinary institution. Wonderful theme trip at the “culinary Stanos”, which is organized in late summer as a farewell celebration, welcoming the autumn products : the milky trachana, the seasonal spoon sweets, the cherries, the delicious sausages, the forest beverages, the homemade yogurt and the «timeless» chops that «dominate» the cool evenings! Follow us! 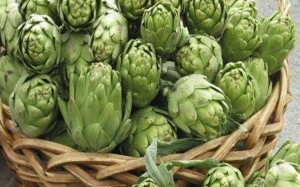 Wonderful cooking class entitled “artichokes with plums”, which will be delivered by Veta Aivazidou at “Trattoria Sublime”, Ierissos! Travel agents from Cyprus will participate in the event in order to gain authentic gastronomical experiences in Mount Athos Area! Traditional pastry lesson , where Angelos and Fotini Gagani will prepare unique sweets and homemade liqueurs, using the rarest fruits from the forest Holomontas and many herbs from the Aristotelian flora . The course will end in celebration, where local choirs will accompany dinner in the stone squares of Arnaia . Do not miss it! Book it now! 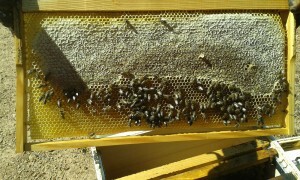 Traditional pastry lesson, based on Stanos honey production. The feast will end up in a children celebration, who will sing and dance reviving old traditions, while a summer "gourounochara custom" will consist a contemporary symposium and the best tasty epilogue of the event! Do not miss it for any reason. Book a place now! 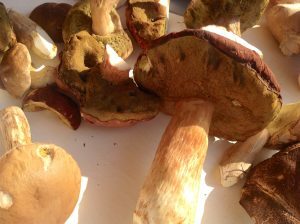 A menu with ancient Greek origins and inspiration from the local mushroom culture of Cholomontas. An excellent spring night with chef Dimitris Pamporis from Ekies All Senses Resort and Vasilis Chairistanidis creating magical recipes and distilling strong tsipouro, offering it to those who booked on time a seat at his ancient Greek table! With herbs, plants and fruits from the Aristotelian Mountain, Louloudia Alexiadou creates dishes that combine the flavours of fresh forest fruit with sea products! 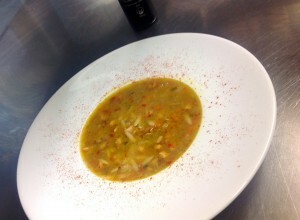 A feast of scents and colours makes up a sea menu, inspired by the Aristotelian writings. Don't miss it for anything in the world! Book your participation now! "Milk pie" demonstration : members of Epirus Chef Club will show us how to make the famous Epirus "milk pie", using local goat milk from the Aristotelian Mountain pasturages, while members of the "Ancient Stagira" Cultural Association will present the "Asia Minor milk pie", made by the same milk and organic products. Since the ancient town of Stagira is the background, you will love the quality and the content of the event! 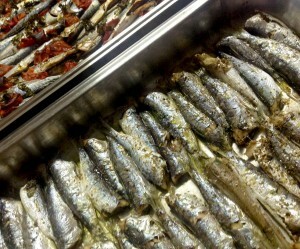 A fishing feast in the port of Stratoni, a joyful festival of the sea. 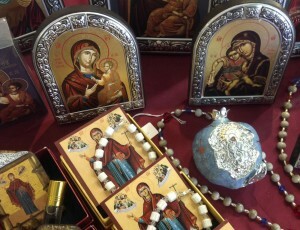 The people of this particular corner of the peninsula before Mount Athos honor the gifts offered by sea and land and often organize such celebrations. Feasting, dancing, local wine and liquor and plenty of fish offered to attendees make up a wonderful tourist experience that will fascinate you. The background of Ierissos port inspires the members of the Ierissos Women's Association, who organize a gastronomical excursion on the green hills of the "old village" (Aroviglis), where they offer local diches with origin from the culinary tradition and the time. 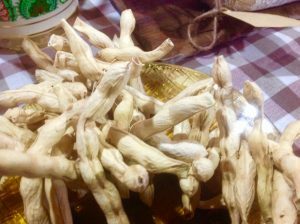 They corn "orkyni" (a type of tuna fish), they sing songs and the dance, luring the visitors into a tour in the time, where everything is turned into a dreamy trip. Follow them! Fresh fish and seafood, cooked in the most traditional way, highlight the pure taste of the local seafood (Mediterranean) cuisine. 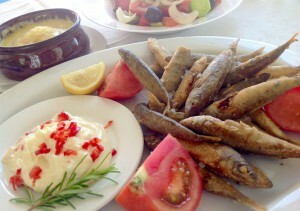 A wonderful mouth-watering menu to accompany ouzo gives the opportunity to Michalis Lemoniadis to apply once again his father's Iosif techniques, who created in Ouranoupoli the first tavern of the village that today is a gourmet trademark of the bustling beach. 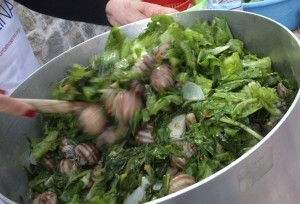 Cooking class, which teaches the way in which the wild snails can be cooked. The locals who came from Asia Minor considered that the snails were "the gifts of the rain". 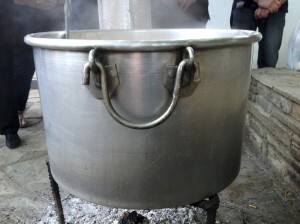 The cooking class will be delivered at the Cultural Center of Ouranoupolis' yard, attracting many visitors. Book now a place, to be among the lucky ones! Herbal cosmetics class, which will be delivered by Chryssa Grigoriou at the green yard of Avaton just few meters away from the land border of Mount Athos. Organic products, wild herbs and athonian olive oil are turned into organic cosmetics, creams, soaps, wax creams and what you can think about. Do not miss the opportunity to gain this fantastic experience! 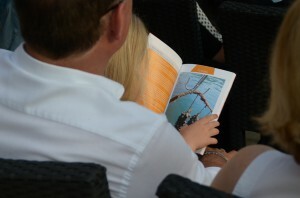 Book your participation and live the moment! A monastic dinner, which takes place on the slopes of the Aristotelian Mountain, cooked by representatives of local women's associations. Held in the magical courtyard of the Church Agios Nikolaos tou Vounou with incredible views of the bay and Mount Athos, combined with participation in the Great Vespers. Don't miss it! Book your participation now! Original Mount Athos dinner by Monk Nikitas, which will be followed by Athonite wine tasting. Indeed Metochi of Chromitsa presents original Mount Athos wines, made from the fruit of the vineyards of Mount Athos and by the hands of the monks. Among the many varieties, "Kormilitsa", the official wine of the Cremlin, stands out! Amazing traditional cooking class inspired of Cappadocia : it will be delivered by local housekeepers with origin from Asia Minor and the pastry chef Panayiotis Sarakakis, from PLAISIR. The event will be accompanied by Asia Minor musical sounds. It's also a historical recursion to the tastes, a virtual trip to "those" kitchens and a wandering among the land of the gastronomical revelations. Do not miss it for any reason! 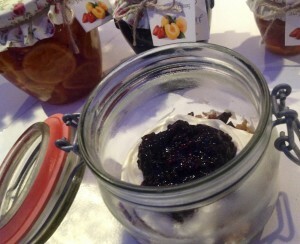 A lesson in traditional confectionery by Ifigenia Manolouda, who creates preserves and jams, collecting fruits from the fertile land of Nea Roda. The recipes are based on techniques coming from Asia Minor, while her speciality is the "watermelon preserve" which highlights the rich production of the fields in Nea Roda. 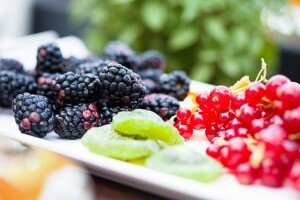 Later, famous bartenders will take the lead and create fragrant cocktails with these jams and mountovina and also present the signature KOUZINA cocktail. An event not to be missed! Fill out the entry form and join our gang! Traditional cooking class entitled "Politiko Mydopilafo" will be delivered by local housekeepers nearby the romantic chapel of Saint Theodoron with the majestic view at Akantios Gulf. 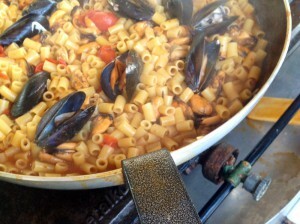 They will prepare religious dinner, using mussels of Olympiada and they will teach the way in which they cook. Handmade variety of meze will be offered after the lesson! Do you believe that you must miss it? Cooking class delivered by Chryssa Grigoriou. 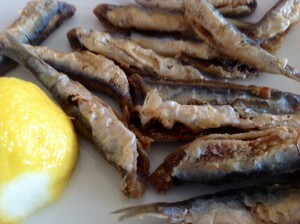 Fresh sea products are cooked according to the Asia Minor techniques, being ideally married with the gastronomy history and creating what is called "heritage". 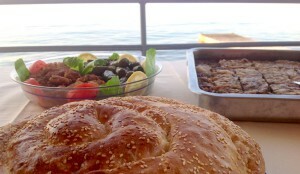 All these - only for few persons- will take place in the wonderful "Aegean Sea balcony" - belongs to the wonderful farm. A menu brought from the kitchens of Asia Minor and the fragrant ovens of the East, capturing memories, tastes and an aura of times bygone. 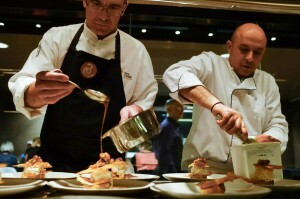 The chefs enclose in their dishes the gastronomic history of an era! Chef Marco Motta from the famous Gastronomy School FORMAEMPLEAN (Madrid) and chef Dina Nikolaou prepared a menu based on "oil and olives from the Mediterranean", marrying oily flavors of local olive groves with Mediterranean products and influences, to create dishes inspired by the colors of spanish cuisine and the aromas of the Mediterranean. Chef Dina Nikolaou, Dimitris Koparanis from ESTRELLA and housekeepers from Stagira and Stratoniki present "the dishes of the Sultan", combining the gastronomical history of the Sidirokafsia village with the Mediterranean influence of the sea. Do not miss it for any reason! 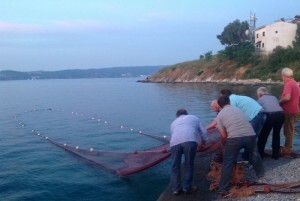 Local fishermen are coming to the port after a tiring day, closing to their nets the richest haul. 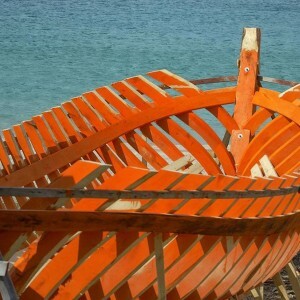 There, on the fishing boats, they prepare "kakavia" (traditional fish soup) and they offer the unique experience of their "hard everyday". It is the feast of the opening ceremony, which will be accompanied by songs and dances, presented by members of local choirs and local dance groups. 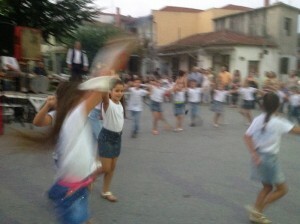 Arnaia of tradition welcomes KOUZINA 2018 with joyful events where participation and joy dominate! 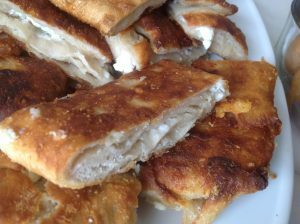 The famous local sausages are baked around the square, the smell floods the city center, and the “moundovina” is abundant! 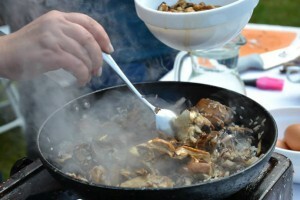 Residents and visitors enjoy the spring and the local gastronomy opens its gates to the public for a whole month! Traditional cooking course, which will be delivered by housewives - members of the Palaiochori Women's Association and will promote the local potato production. 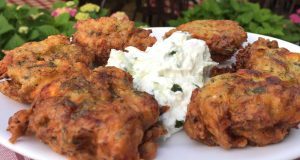 Also Cypriot housewives - members of the Larnaca Country Women Association will present recipes based on the Cypriot potato - "kolokasi" (PDO of Cyprus). 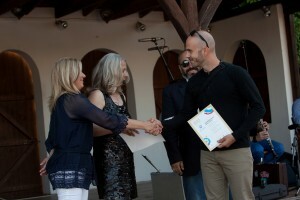 The lesson will end on a celebration and the celebration in a genuine local folk feast, a Greek-Cypriot meeting of friendship and cooperation. Members of the Macedonian - Thracian Chef Club will present the event! In parallel, French chef of Centre Culinaire Contemporain and chef Dimitris Polyzos present an excellent menu inspired of the ancient Greek cuisine which is accompanied by local wine from "Estate Claudia Papayianni". Join us from 14.00 until early in the morning! We believe that there is not a better way for the feast to be finished! 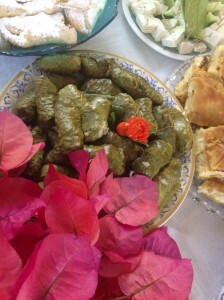 A traditional cooking course, which will be delivered by housewives - members of the Neohori Women Association who will teach us how they cook "louvidia". It is the traditional bean that has been cultivated for years and years between the area of Neochori and Paleochori and it is famous for the excellent quality. The lesson will end in a "local feast" to show us how the older ones celebrated the importance of each day of the year. Members of the Macedonian - Thracian Chef Club "Alexander the Great" will present the event! 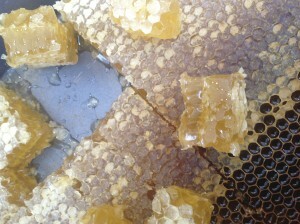 A lesson of traditional pastry, based on the honey production of Stanos. The course will evolve into a demonstration of cooking techniques and will culminate in a celebration of the children, who will sing and dance, reviving the tradition. At the same time, members of the ERGANI Women's Association of Episkopi, Heraklion, Crete (Chersonesos Municipality) will present Cretan desserts, made by Arnea and Stanos honey! 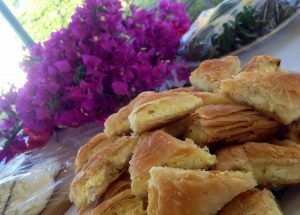 Traditional pies and the opening of trachana «filo» are expected to impress! 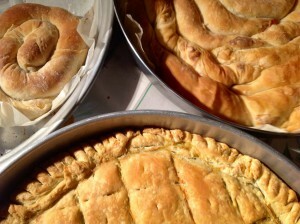 Traditional pie demonstration: famous pies of Crete are presented by members of the ERGANI Women's Association of Episkopi, Heraklion, Crete, while the delicious Varvara “trachanopita” is prepared by members of the Varvara Women's Agritourist Association “Dryades”. The feast ends finding children singing and dancing! With herbs, plants and fruits collected from the Aristotelian Mountain, Louloudia Alexiadou and the awarded chef of Grand Hotel Thessaloniki, Vassilis Tsontzos, create dishes that combine the cool flavors of the organic herbs with local seafood! 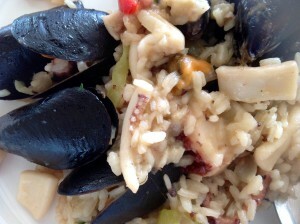 A feast of scents and colors that make up a seafood menu, inspired by the Aristotelian writings. 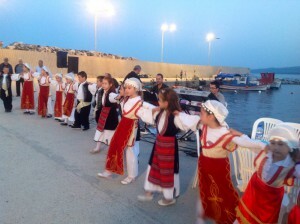 A Greek feast, a joyful celebration, a religious and cultural event where members of the Cultural Association of Ouranoupolis turn into a musical feast of the sea and history. We are waiting for you to dance together! 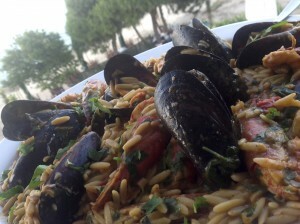 Chef Dina Nikolaou delivers cooking lessons, based on the rich local mussel’s production. Herbs and aromas from the Aristotelian Mountain blend with iodine of the sea while spicy spices, “moundovina” and pure olive oil “take off” the taste of the famous mussels, which are the gastronomic brand name of the historic settlement. 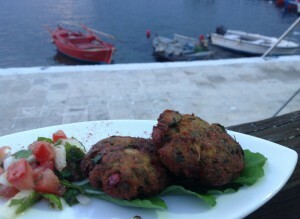 The tasting trials give place to the Asia Minor “sea dances” and the feast… begins! 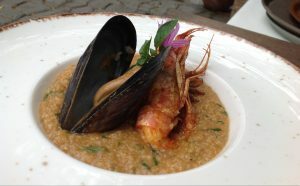 Menu - Ode to the fish-production of Olympiada, created and presented by Maria Antoniou and Chef Dina Nikolaou. A gastronomic pallet, which “takes off” the tasting sensor, challenges and invites you! 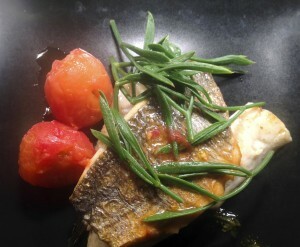 Book now a place in the gorgeous fish table of the excellent fish restaurant and enjoy! 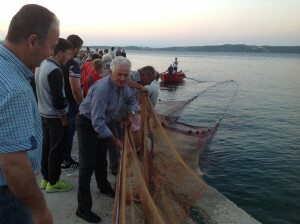 Fish event, organized by the Stratoni Sports Club, which excels in fishing competitions and marine events! 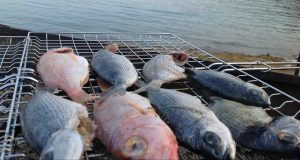 The show of fish-culinary techniques and recipes ends in a musical event. 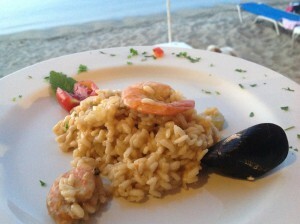 After that chef Dina Nickolaou offers seafood dinner at the historic Lesxi restaurant of Stratoni. Three days celebration of the “Holy Spirit” and all the fish restaurants in the coastal zone welcome you, offering seafood dishes cooked with the freshest ingredients. Ask without fear, dare the proposed combinations, follow our gastronomic streets and enjoy the most beautiful summer excursion! Have a good time! Monastery dinner, based on products produced by the monks at the Monastery of Virgin Mary "the joy of the sad people" Paleochori and are famous for their purity and quality. Chef Dimitris Polyzos and chef Elias Gotsis from Athena Pallas prepare monastic dishes and travels visitors to the Athonian State, introducing them to the gastronomic habits of the monks! 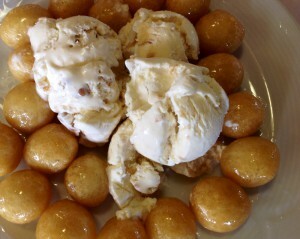 Traditional religious “kourbani”, based on recipes taken from the local religious tradition. It takes place at the yard of the Holy Pilgrimage of the Virgin Mary, promoting the local monastic production and it is always accompanied by participation in the evening prayer. 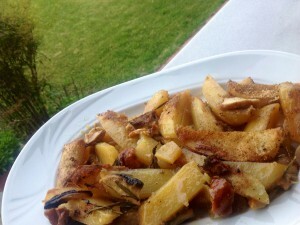 Original Mount Athos dinner served by Miranda Gkioura. It will be followed by athonian wine tasting. Indeed, “Metochi Chromitsa” presents original Mount Athos wines, made by the monks who use grapes collected from the Mount Athos vineyards. Among the many varieties, "Kormilitsa", the official wine of the Cremlin, stands out! Monastic dinner, which takes place on the slopes of the Aristotelian Mountain and it is prepared by representatives of local women's associations. It is served at the magical courtyard of the church of the Mountainous Saint Nikolaos with the incredible view to the athonite bay and it is combined with participation in the Evening Prayer. Classic monastic dinner, which takes place at the yard of the exceptional Gomati chapel, after the usual Great Prayer. The courtyard - decorated by the tall cypress, the old bell, the demonstration showing how the "turned" local traditional pie is cooked by the locals and the magical view to the village will turn the religious “kourbani” event into an enjoyment of all the sensations. Chef Dina Nikolaou presents an “inspired” monastic menu, based on the athonian culinary heritage and on the Mount Athos organic produce. Overlooking the top of Mount Athos and the islets "Drenia" you will experience the gastronomic splendor of the seaside monastic cuisine, feeling the athonian breeze in every cell of your body! Wandering between the blessed products of Mount Athos and the Byzantine, religious monuments, that create the most beautiful gastro-cultural summer memory. 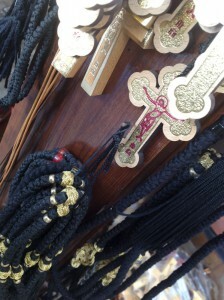 An exceptional tour to the cultural monuments of Mount Athos and to the culinary habits of the monks! Book your participation now! Your choice will prove you right! A stunning classical cooking lesson inspired by Pontos, delivered by Plaisir's exquisite pastry chef, Panayiotis Sakarakis, combined with musical Pontian songs. A historical glimpse into the taste, a wandering between the cuisines of those times, and a virtual trip to the homeland of gastronomic discoveries. Amazing cooking workshop, which is delivered by Ouranoupolis Cultural Association's members and always impresses all the participants. Herbs from Mount Athos, pure olive oil and cooking techniques brought from Asia Minor ends to a dinner where the authentic homemade Asia Minor recipes create fantastic impressions. An activity for few and selected participants! Traditional cooking lesson, taken place at the picturesque Chapel of Agion Theodoron with the magic view on the Akanthios Gulf. 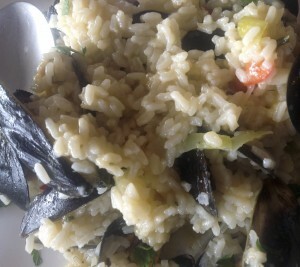 Local housewives prepare a religious dinner, using mussels from Olympiada and teach the attendees how to prepare it. 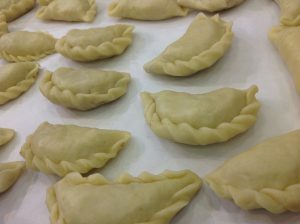 After the lesson, you will be offered hand-made appetizers! Chef Panayiotis Papadopoulos from "Relais & Chateau Restaurant Avaton" presents a unique and representative sea food menu in order to honor the "word oceans day" as it is marked and honored by all the Relais & Chateau Restaurants in the world. The executive chef of Nikopolis Thessaloniki, Stefanos Stamidis will be the eminent guest and the head chef of the KOUZINA culinary festival Dina Nikolaou welcomes to Avaton Luxury Villas Resort French & Spanish journalists and gourmets. A menu for few and elected! 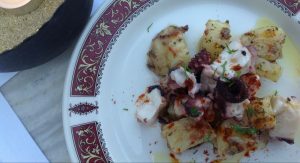 At the same time recipes and dishes came from Prikonissos (Asia Minor region) and fresh seafood have been caught in the athonian sea inspire chef Stephanos Stamidis from Nikopolis Thessaloniki, who "escapes" from Dome Real Cuisine and travels to Ammouliani Island. 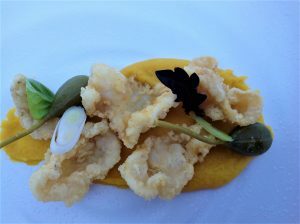 He creates ecstatic and gastronomic flavors, presenting selected and special dishes. 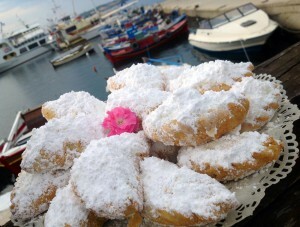 It is the "Feast of Prikonissos" and awaits you to honor it! Menu for real gastronomic travelers, created by members of Chef Hellenic Gastronomy, who "discover" the tradition of Asia Minor through the Ammouliani’s production, the modern techniques and the historical routes. The products are the cause, since the reason is the creations of “The Roost”, which is the most delicious suggestion in Ammouliani Island. You should not miss this dinner! 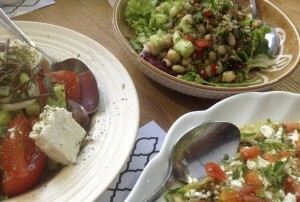 This menu has been created by the famous Lebanese chef George Akkiki and it is based on “Mediterranean Oil & Olives”. 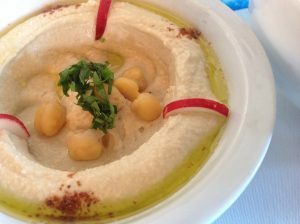 It combines the oily tastes of the local products with those of the Mediterranean influence, creating dishes inspired of the Lebanese cuisine and the Mediterranean scents. 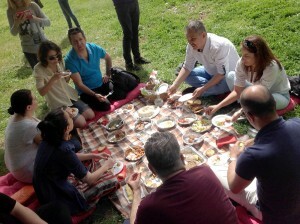 Chef Dina Nikolaou and housewives from Stagira and Stratoniki meet each other at the green garden of “Aristotle's Park" and cook "the sultan's dishes". They invite you into a virtual trip at the gastronomic history of the “Sidirokafsia Villages” and they “mix and match” it with the area’s Mediterranean influence. 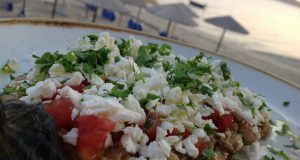 The executive chef Panagiotis Papadopoulos from Avaton Luxury Villas Resort and the famous Lebanese chef Georges Akkiki create a prime Mediterranean menu, where the sea flavors and the fish production of Akanthios Gulf dominate and fascinate. 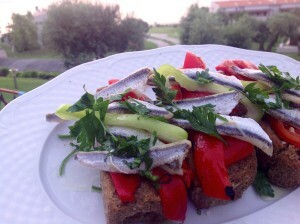 A gastronomic trip to the Mediterranean coast of the Athonite State, overlooking the Avaton gardens. Kouzina 2018 will close as spectacularly as it opened. The closing ceremony includes the famous awards, which are now a top annual local culinary institution.